Highly commended in the commercial shade sails section 2018 - Point of difference was that we recycled an old shade structure from the old Victoria St Municipal Pools. What was the purpose of this project? What did the client request? Hamilton's Municipal Pool complex was closed down three years ago and the pool drained. With a squeeze on finances and a need for a shade structure covering a seating area at the city's other main pool complex we were asked to recycle materials from the old complex. We removed all the steelwork from a long narrow shade structure and redesigned a structure covering approximately 210 square metres. 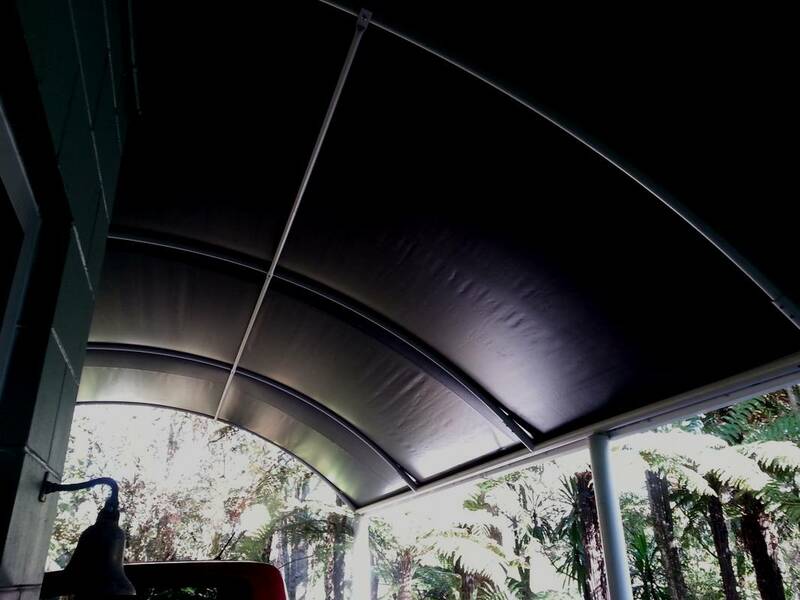 By making this in two separate wings we were able to utilise all the old materials to give the maximum shade for the minimum price. What was unique or complex about the project? Using all second-hand structural materials made this project challenging. A free range in the design (so we could maximise the use of the materials) was a very unusual situation, and we were also asked to design the colour scheme - within the guidelines of the complex's corporate colours. Where the sails met in the middle we had to deal with stormwater so we designed a shaped internal gutter. A very limited budget meant our customer was delighted with the size structure we were able to achieve through recycling. The structure covers a large area of tables and chairs where families picnic throughout the year. Is there any other relevant information about this project that has not been covered in the above questions that you would like the judges to be aware of? The photograph showing the empty pool shows the structures before demolition. 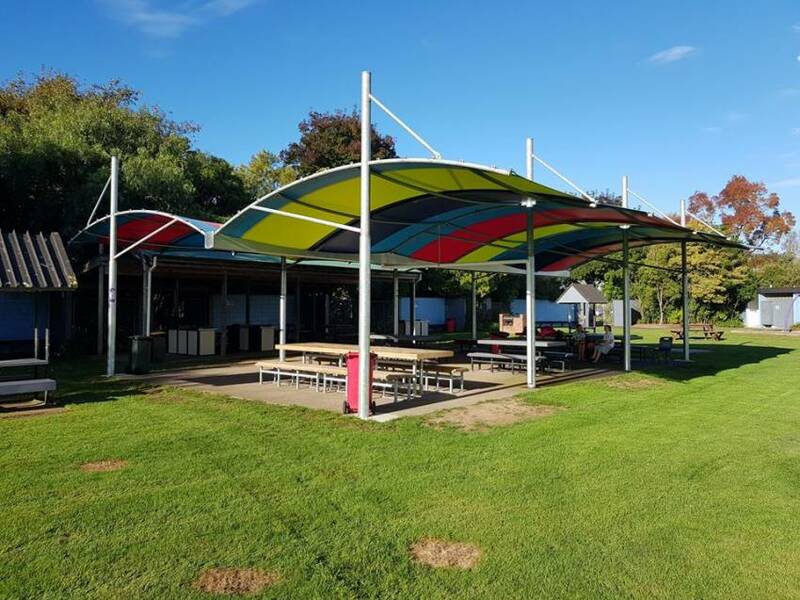 Demolishing an old shade structure and taking the pieces and redesigning a whole new shade structure - that was how we delivered a budget 210 square metres of shade.